Dessa mono slutsteg sälje i par , du kan även köpa dom med lite mer kraft , då heter dom Apollo plus och ger 2 X 100W per kanal och kostar då 28500:-. Apollon in Greek Mythology was the God of music. A fitting name for this amplifier as it has excellent sound. 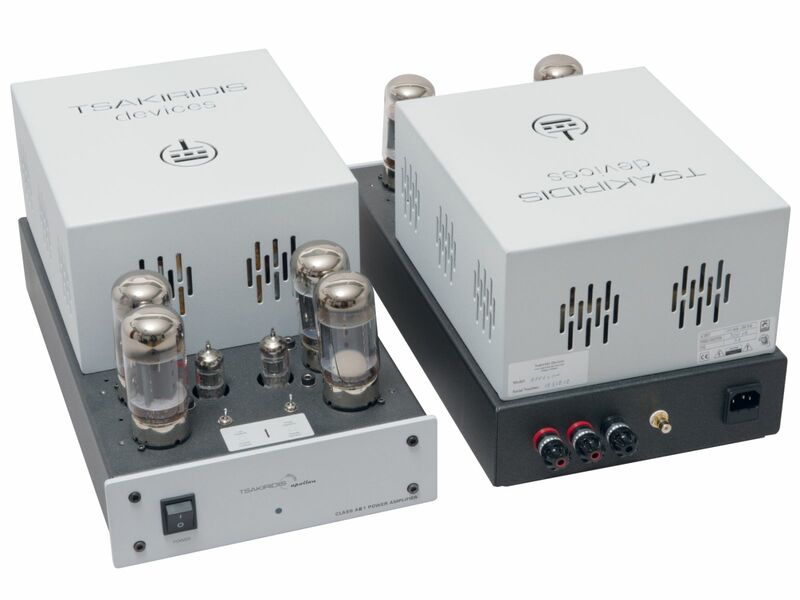 It carries almost 20 years of development, as it is the descendant of the very first amplifier our company put to trade. Then it was named Powerhouse but now it is Apollon, the God of music. It incorporates 4 power tubes per channel which form a dual push pull. They are biased in class AB1 class of operation. Powerful enough to drive difficult loads and give you a unique sonic experience. Appolon Plus, Power Amplifier, 2 x 90 Watt, (8 x 6550, 4 x 12AT7). Triode – Pendode Switchable Operation.